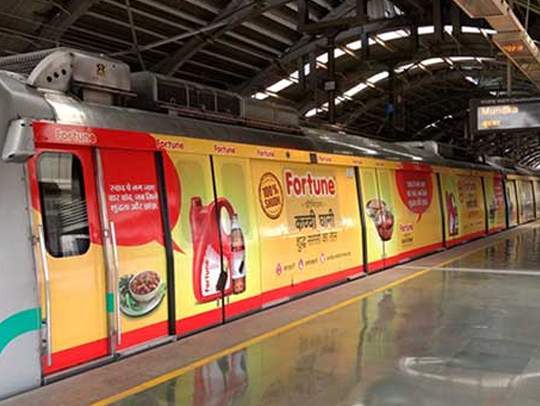 Transit Advertising in Delhi, Transit Media Advertising Agency in Delhi, Transit Advertising Agency in Delhi. 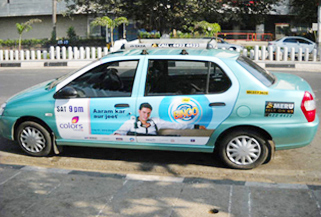 Mobile advertising with effective results and at very low cost is now possible using auto rickshaw, bus ads, taxi ads. 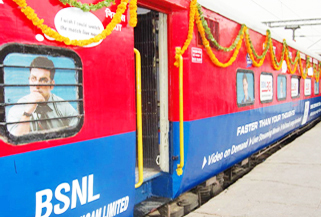 Metro cities and other major towns have already set the trend of using this public utility service. A boom for startups and small local business to market their product, business or service. The result of this new way of advertising has shown good results and is soon catching up on other towns and cities as well. A distance of around 300 km approximately is covered by these rickshaws while assisting daily commuters back and forth in the city. They travel in every nook and corner of the city standing at various rickshaws stands which makes the ads visible to the pedestrians and by standers. While waiting in traffic also the ads gets showcased easily to the people around in other vehicles. 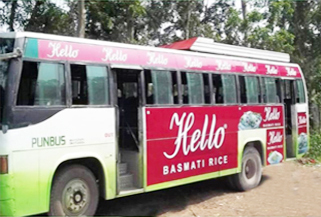 The auto rickshaw advertising is mainly done using LED or flex as per the clients budget and duration of the advertisements. Ads usually run on monthly basis or quarterly as per budgets .so ads go on for the entire year also. Many advertising agencies have been setup to cater the needs of such advertising installation; these agencies take responsibility in getting all the things pertaining to installation of these ads done under one roof i:e designing , flex work , stitching and finally installing . The business of auto rickshaw advertisement is streamlined now since few years and thus gives assurance to auto drivers of proper additional income which has helped their economics. 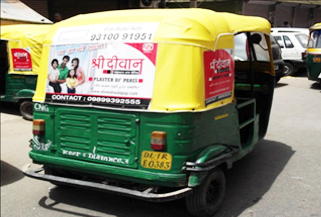 The cost of advertising on auto rickshaws is very less as compared to other medias as TV. Many startups have ripped benefits from these types of advertising because the results are visible within a few weeks of implementation. Spoilage or damage is rarely seen in these ads as the rickshaws are washed and cleaned every day. More things are being designed with the improving technology in this zone of advertising. The day is not far when GPS system is implemented in auto rickshaw and the next level of advertising is on its way.